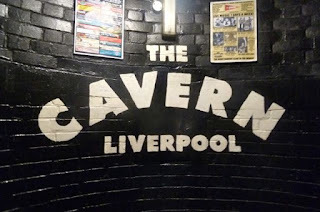 Day 39: Tuesday, 28 June 2011 - Liverpool Day! 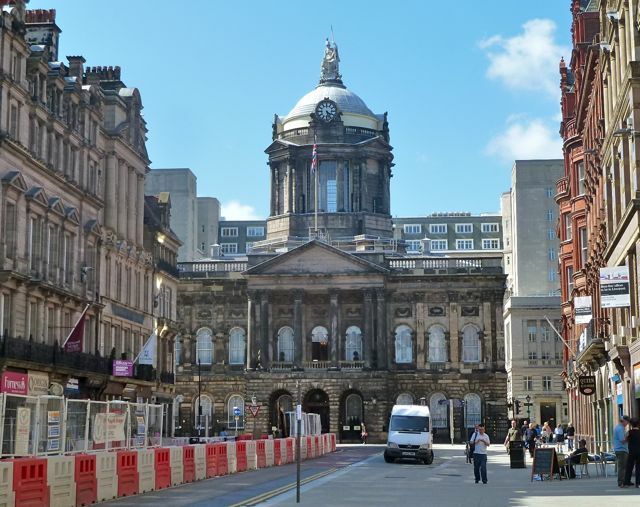 I decided to visit Liverpool on a day trip, since it's only a 45-minute train ride from Manchester. 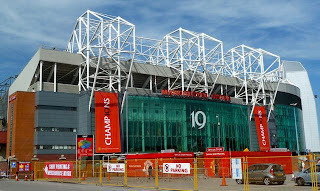 I started the day with a walk to Old Trafford, the stadium home to Manchester United. There was construction going on, so I couldn't see too much, but I guess it'd be better if I were a more devoted football fan. After a bit of rain the night before, it was warm and sunny yet again in Manchester. I took the tram to the Piccadilly station, used the automatic machine to pick up my train tickets, and got on the next train to Liverpool (I had to show my ticket to enter the platform area, odd…). I put some Beatles songs on my ipod as I drifted along into the city, and as I emerged from Liverpool's Lime Street station, I was greeted by a chilly sea breeze that instantly made me regret wearing shorts. I picked up a city map from the train info stand and walked first to the Walker Art Gallery. 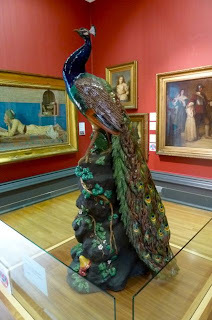 Gotta love the UK's museums with free admission! 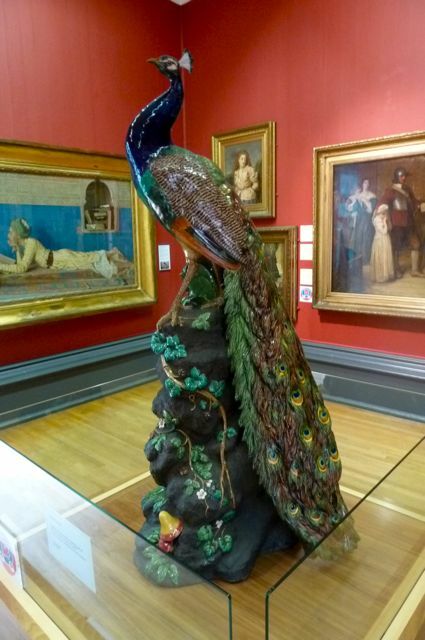 There was a good selection of art ranging from classical sculptures to Victorian to modern. I soon found Mathew Street, home to the Cavern Club, the place famous for being the birthplace of the Beatles. I took an obligatory walk down and saw plenty of memorabilia, not only from the Beatles but from literally hundreds of other well-known bands and artists who had performed there, from the Rolling Stones and the Who to the Kooks and Arctic Monkeys. Amazing! It was still early in the day, so there was only one couple down there enjoying a pint, and several other tourists gawking around the dark underground space. I didn't really see one specific shrine or anything for the Beatles, which was slightly surprising to me. 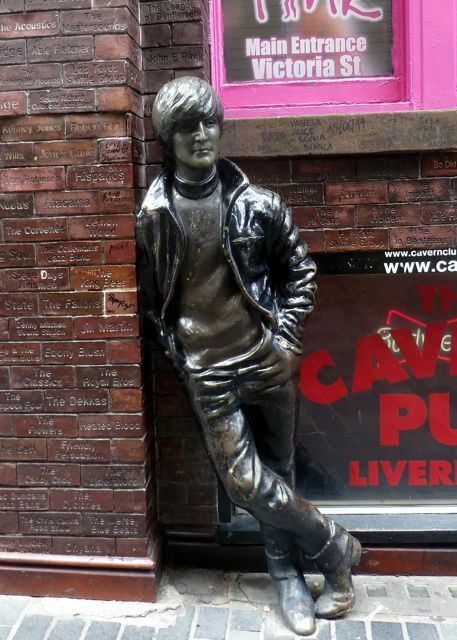 There was a sort of hall of fame outside, and then there was the Cavern Pub. I looked around before continuing on. All in all, it was nice, but I somehow expected more, like plaques or informational signs discussing the Beatles. I walked on, through Church Street, the main shopping area, where many people were rushing about on their lunch break. I still need to get used to how many people are in the UK (after driving across the expanses of the US and Iceland, seeing so many people has become a bit much for me). There were a few street musicians performing, and one band in particular, just playing guitars and banging on one drum, sounded really good - much like an Indie band that I would see at a venue in LA! I was impressed. I then walked down to the waterfront, where I explored the Albert Dock and entered the Maritime Museum. 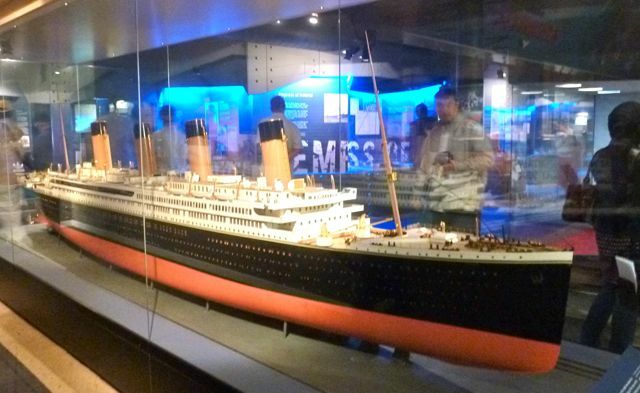 It was a nice museum, focusing on Liverpool's role in the navy and world trade, the Titanic and Lusitania, and the World Wars. The museum did have a confusing layout, so I passed through non-consecutive exhibits several times. Connected to it was the Museum of Slavery, which documented the slave trade and the lasting effects of slavery to this day. Apparently Liverpool was an important port during the slave trade. 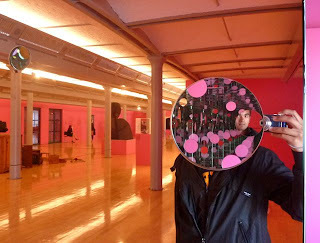 I left, sat down, and munched on some mixed nuts before walked around and back to the Tate Liverpool. The Tate Liverpool has a nice collection of modern art, smaller in size than the Tate Modern in London, but still thought-provoking. I got lost in depictions of lines and geometric shapes, and soon I realized that I really prefer modern art. 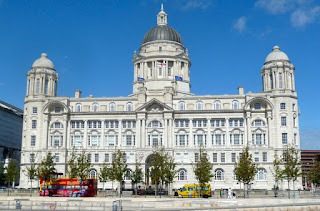 Next, I walked along the riverfront, which abuts the very wide Mersey estuary. 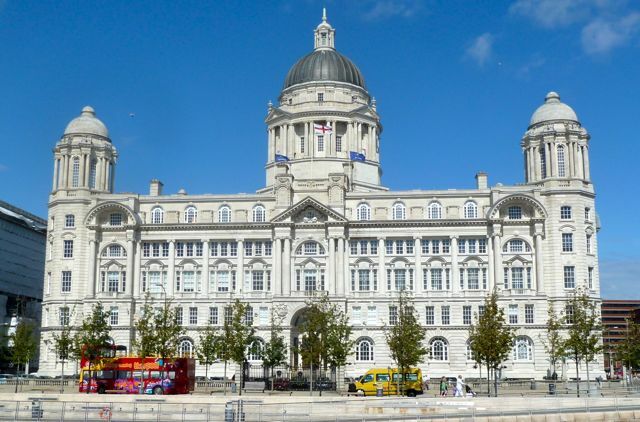 There are some nice buildings in central Liverpool, and they are more distinctive than those in Manchester. It was cool but sunny, and so a nice day to sit outside. I walked back around, feeling hungry but also tight-budgeted, so I searched for affordable fish and chips. At £4.00 up, I continued searching before settling on a combo of a chicken burger and curry chips for £3.50. The afternoon was wearing on, and I was tired so I walked back to the train station. But I remembered that I needed to buy a phone and quickly decided to just buy one then and there. So I walked into Carphone Warehouse 15 minutes before they closed and asked the cashier for the O2 plan that I had been recommended by my Manchester friends. It took a bit of fiddling to sign me up, but we got it done, and I got a decent slide-open phone that I was very satisfied with. 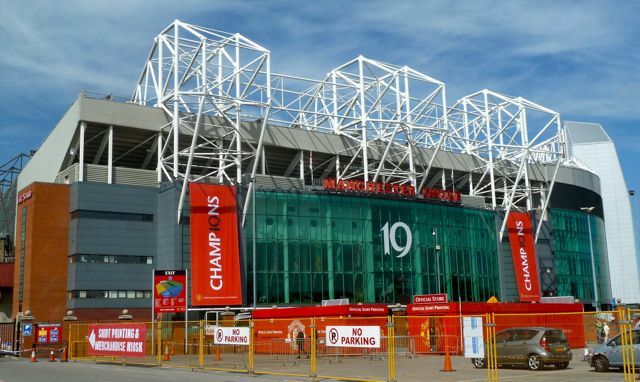 That was it, and I was soon back in Manchester.